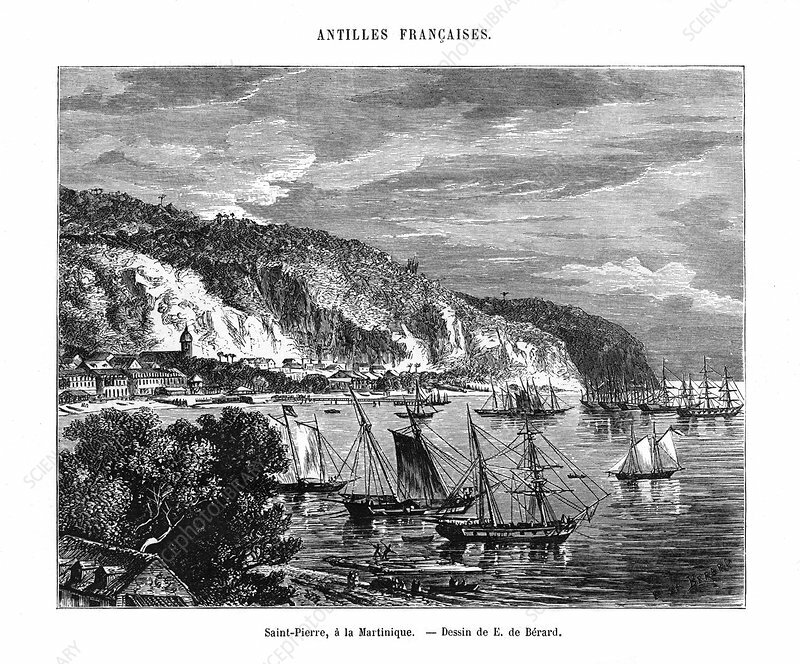 Saint-Pierre, Martinique, 19th century. View of ships at anchor in the harbour of the Caribbean island of Martinique. Artist: E de Berard.